It’s been almost a year since I participated in a running race. Although my own training focus has shifted the last few years, I still describe myself as an endurance athlete who happens to love strength training. 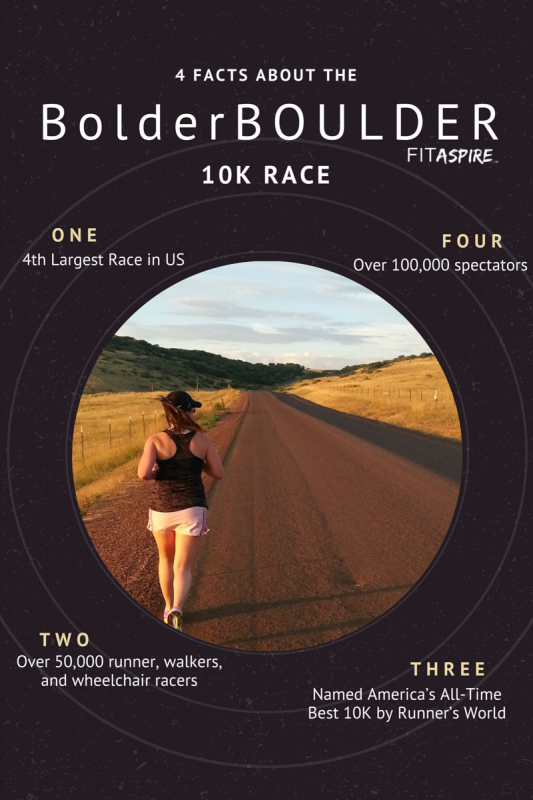 Although my primary goal for the year is my third bikini competition, I’m excited to announce that I’m also training for the BolderBOULDER 10K! And I have a chance for YOU to win a free entry to join me at the end of this post. As a long-time Atlanta resident, I was surprised to hear that BolderBOULDER was named America’s All-Time Best 10K by Runner’s World. Atlanta’s Peachtree Road Race is the largest 10K, but Colorado’s Memorial Day tradition is the 4th largest running race in the US (and 7th largest in the world). With over 50,000 runners, joggers, walkers and wheelchair racers – it’s a BIG race! 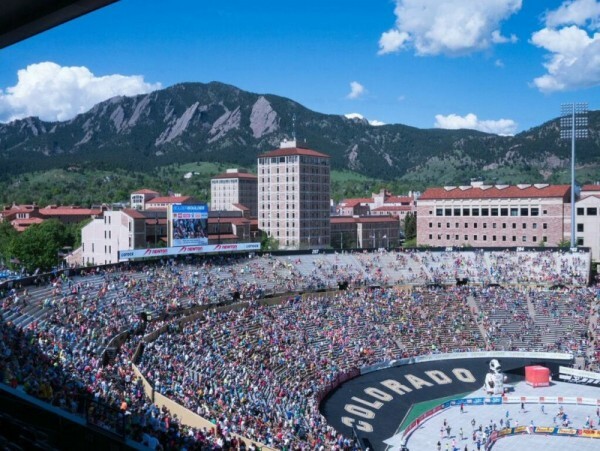 The race winds through Boulder neighborhoods with live music and entertainment at every corner, finishing at the University of Colorado’s Folsom Field — with over 100,000 spectators along the way! This year marks the 37th anniversary and will be MY first experience at the race. As one of the BolderBOULDER bloggers this year, I’m thrilled to get to try a few products from the sponsors: TomTom, Helly Hansen, and Sketchers Performance. I’ll share my thoughts along the way. This will be my first experience with TomTom & Helly Hansen, but I remember using a pair of Sketchers from college when I first started running. Since Meb won last year’s Boston marathon wearing their shoes, I would say it’s time to give them another shot! Now let’s be realistic, after taking 3 months off running (bulking season doesn’t really mesh with running), this is not going to be a PR setting race. This is going to be a fun race, where I get to build back up my endurance and have some fun! It’s crazy how quickly you can lose running speed and building that base takes time. But muscle memory is a great thing and I have no doubt that I can cover the distance safely, which is key. My training plan? I’m back to 4 days of cardio for bikini competition training, which means 3 of those will also be training runs. My basic plan will include 1 day of run intervals and 1 progressively longer run (building up to 6 miles). The 4th day of cardio will be cross-training, likely cycling. Can you get yourself to Boulder, Colorado for Memorial Day weekend? Then you need to enter this giveaway and join me at the race! If you’re not from Colorado, it’s a great destination race — maybe spend some time exploring Estes Park while you’re here. For the locals, it’s the perfect way to make the most of the holiday weekend! The giveaway is open through next Wednesday at midnight EST (full terms & conditions in the gleam widget).